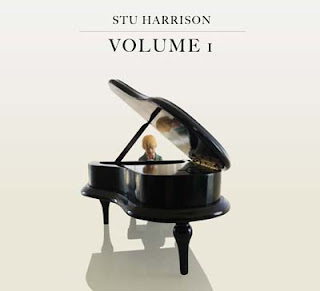 Pianist Stu Harrison and his trio — Neil Swainson, bass; and Terry Clarke, drums — are first-call Canadian artists in the Toronto jazz scene, and also have worked with many familiar American groups. Harrison’s career has developed primarily within Canada, in a variety of musical settings; he also heads his own music company. Swainson has worked with stalwarts such as Rob McConnell, George Shearing and Slide Hampton. Clarke also has worked with McConnell, and has been part of groups under The Fifth Dimension and John Handy. For this debut album, Harrison offers tunes from both the Great American Songbook and charts by jazz icons Oscar Peterson (“Place St. Henri”), Dave Brubeck (“In Your Own Sweet Way”) and Dizzy Gillespie (“Manteca”). It’s obvious that we’re listening to an outstanding pianist before Harrison finishes the first 16 bars of the first tune; his technique is flawless, and his melody line improvisations are superb. He immediately evokes masters such as Oscar Peterson, Lennie Tristano and Paul Smith. Harrison’s dexterity and speed on the keyboard are dazzling, and he just doesn't fluff or make mistakes. In that respect, he’s almost too good. A metronome keeps perfect time, but it doesn’t swing; the less than perfect human touch is a key part of jazz on every instrument. That said, we’re listening to a true artist here, and we can’t help being impressed. Swainson and Clarke are equally adept: Their beat is without fault, and they complete a marvelous rhythm section. Their “fill” work and solos are excellent. This great trio debut will keep you entranced for hours and many, many repeat listens. I look forward to future albums.